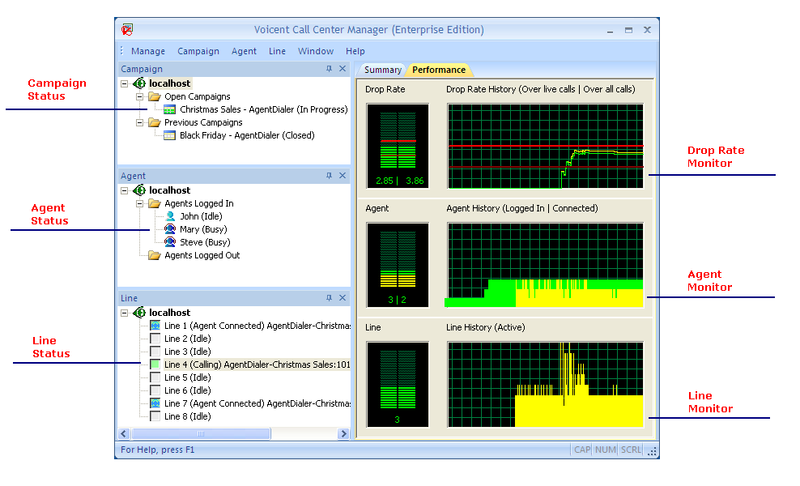 Voicent Call Center Manager software helps you monitor agent productivity, control call volume pacing, set dropped call rate thresholds, and view campaign statistics with a few simple clicks. Call Center Manager is available in Voicent Cloud service and our on-premise software package. 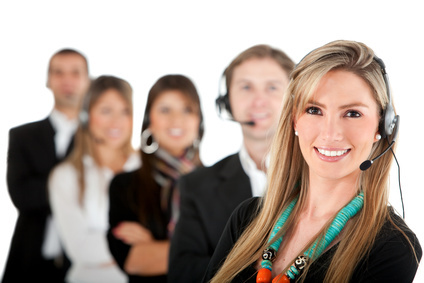 Call Center Manager is a core component of Voicent's call center solutions. When combined with IVR Studio or Predictive Dialer software, Call Center Manager gives you a fully functional call center. Provides real-time and historical tracking and reporting of agent performance and availability, campaign performance and productivity, line and resource usage. Enables automated compliance with U.S. Federal Trade Commission's Telemarketing Sales Rule on intentionally Abandoned or Dropped Calls. Don't risk penalties of up to $16,000 per incident! Speeds effective training and management of agents with easy call monitoring, call recording and "whisper coaching" feature allowing live-call coaching that is inaudible to customers. Offers optional Rules Engine for fine, automated control of Call Distribution (ACD), message selection, caller ID designations, agent assignments and much more. Works seamlessly with Voicent's Agent Dialer predictive dialer, BroadcastByPhone auto-dialer, Call Center CRM Customer Relationship Management, and IVR Studio Interactive Voice Response applications. With advanced algorithms, Voicent's Call Center Software automatically adjusts the calling rate to match the specified call volume and to ensure that agents are available to answer live calls. From the Call Center Manager dashboard, you can select agents to monitor and phone lines to monitor for call recording and whisper coaching. Voicent's Call Center Rules Engine is an optional add-on tool for Call Center Manager. It enables you to easily control your Call Center for maximum efficiency and profitability.